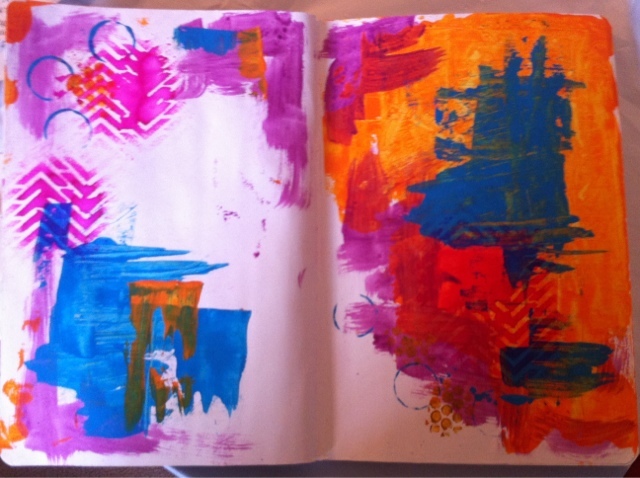 I have an art journal page concept floating through my brain. I'm using the background I created awhile ago from leftover paint of another project. I've added some spray ink sprayed through a stencil. 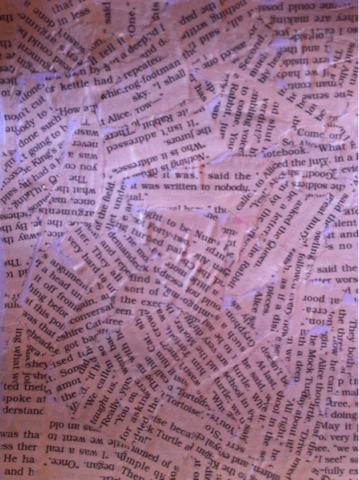 I've also created a sheet of torn book pages adhered to watercolor paper using gel medium. I'll cut shapes out of this and use them on my art journal page. I got this idea from Dina Wakely in Art Journal Freedom. I'm looking forward to how this will all come together!